A day after the 2017 Santa Anita Derby (G1), the race’s 2015 winner officially ended his racing career. Dortmund, who won the Santa Anita Derby with a relentless effort two years ago, has been retired, owner Kaleem Shah said April 9. After his determined victory in the Santa Anita Derby, the massive chestnut son of Big Brown rolled into the Kentucky Derby Presented by Yum! Brands (G1) undefeated in six starts. 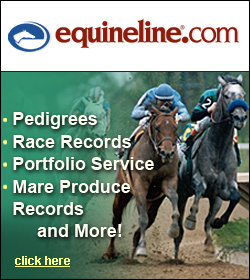 He finished third in the Run for the Roses to Bob Baffert stablemate and eventual Triple Crown winner American Pharoah , then ran fourth in the Xpressbet.com Preakness Stakes (G1). He came back to win two more stakes—the Big Bear and the Native Diver (G3)—to close out his 3-year-old year, but never won again, although he gave California Chrome the stiffest of challenges in the 2016 San Diego Handicap (G2). After a winless 4-year-old campaign and a split with Baffert, Shah moved Dortmund to trainer Art Sherman and he went winless in two 2017 starts for Sherman—a sixth-place run on grass in the Frank E. Kilroe Mile (G1T) and a fourth-place finish in the April 1 Santana Mile Stakes back on dirt. 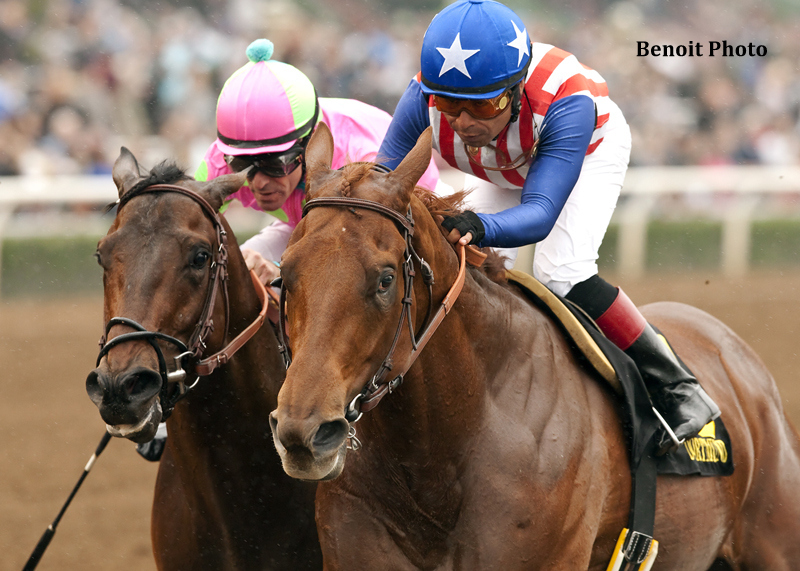 Kaleem Shah’s Dortmund and jockey Martin Garcia, right, hold off Firing Line and jockey Gary Stevens to win the Grade III $150,000 Robert B. Lewis Stakes February 7, 2015 at Santa Anita Park in Arcadia, CA. Shah said there is no current stud deal in place for Dortmund, but that he has already received inquiries from interested farms. 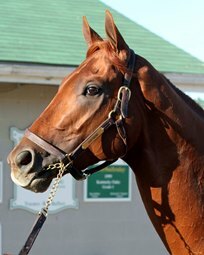 Dortmund retired with an 8-2-2 record from 16 starts and $1,987,505 in earnings. Before his Santa Anita Derby win, he won the Los Alamitos Futurity (G1), Robert B. Lewis (G3), and San Felipe (G2). “A lot of horses have some sort of issues, but we weren’t going to let him go through what Bayern went through,” Shah said.